These mushrooms never, ever make it into the fridge for tomorrow’s lunch. No matter how many you make, no matter how vehemently your companions tell you they don’t like mushrooms, these mushrooms are always the first thing to disappear. Who’s in the I-don’t-like-mushrooms category? Well, me. (Though I blame my mother who still wrinkles her nose every time my dad makes mushrooms only to pick them off with her fingers before we’ve even sat down to eat.) But now I realize that it’s just because people don’t know how to use mushrooms. For example, the phenomenon of raw mushrooms in salad is something I truly do not understand; ditto on pizza. I almost get the appeal of a portobello burger, but then I remember the ones with beef and suddenly I don’t. I’ve come to understand that mushrooms are beautiful not because they lend their own flavors (so stop adding them to salad!) but because they soak up all the others, magnify them, and send them into your mouth in a delightful little pop. 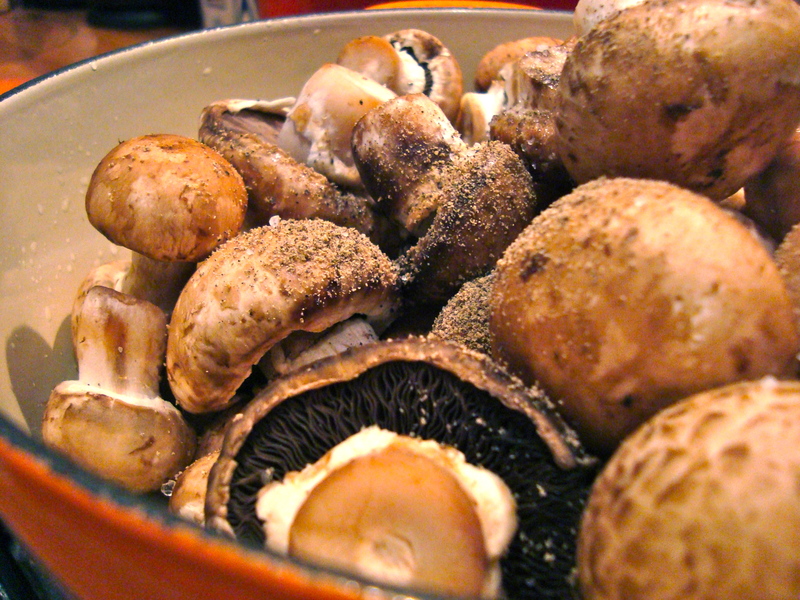 For the most part, my dad – the mushroom crusader in my family – makes mushrooms two ways. One takes about 10 minutes and the other, which I’ll be sharing with you today, takes a bit more than a hour. Hold on, hold on, come back here. This is the best part: it’s a completely effortless hour. You actually do nothing. Nothing. No chopping, no measuring, no stirring, no watching. 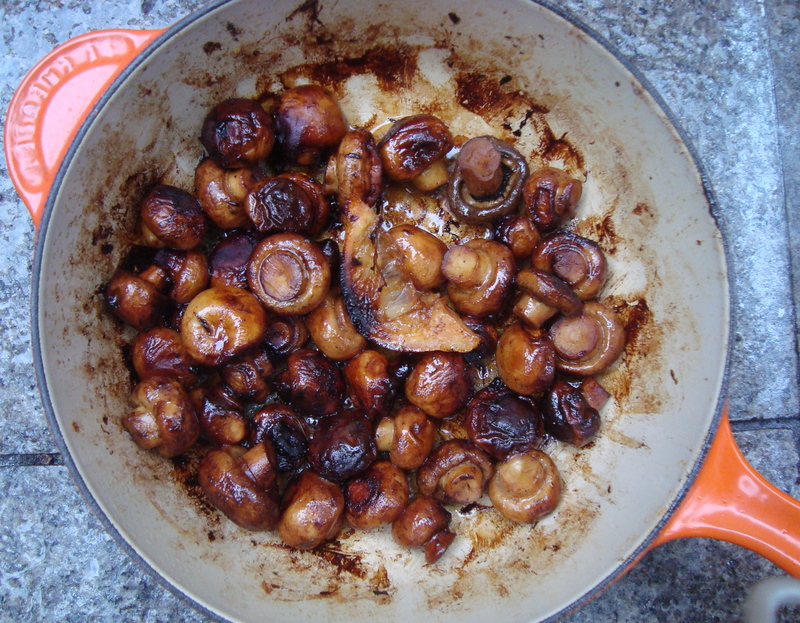 You just plop some mushrooms with a pad of butter, a splash of sherry or white wine, a crank of pepper and a pinch of salt into a pot, squeeze in a slice of lemon and throw that in it, too, then cover everything and cook over a low flame for 60 – 90 minutes. That’s it. If you check on them after 10 minutes – which, may I remind you, you don’t need to do – you may think you’ve failed. There’s no way they’re going to cook properly, they’re still so raw looking. But come back an hour later and behold…a gorgeous, albeit diminished pile of mushrooms which have soaked up all the deliciousness in the butter and sherry. 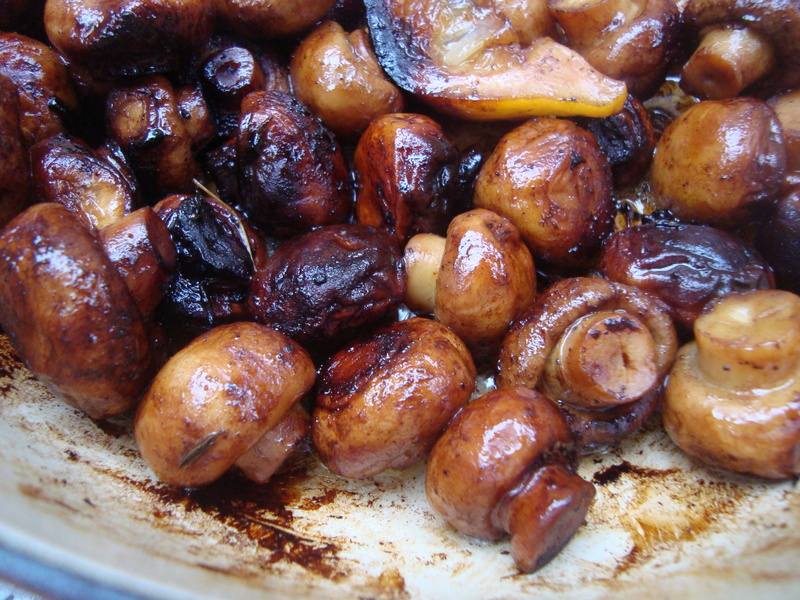 I like to cook them uncovered on high at the end to ensure there’s no more liquid and the mushrooms brown – no, caramelize – to perfection. My dad like to serve them next to steak, but it’s not unheard of to place them in a little bowl as a discreet antipasto. I say, do with them what you like. Convert mushroom-haters like me! Impress your friends and family! Impress yourself! I bet you won’t be able to resist the last one. The best effort:delicious ratio I’ve ever encountered. Sometimes I throw in a thyme sprig if I have it, totally up to you. Remember to use a lot of mushrooms, they really diminish in size as they cook. I’ll provide measurements for 1 lb (450 grams), which I estimate would feed about 3 people as a side dish. Double and triple accordingly! Recipe gleamed from a long-distance phone call to my dad. In a flat-bottomed pot with a cover, throw in all the ingredients in no particular order. Squeeze the lemon slice in and throw in the rind for good luck. Cover and cook over a low flame for 60 – 90 minutes. You may want to stir halfway through to make sure they’re all getting browned evenly. Check at about the 60 minute mark to see if there’s much liquid left in the pot. If yes, cover and keep cooking. 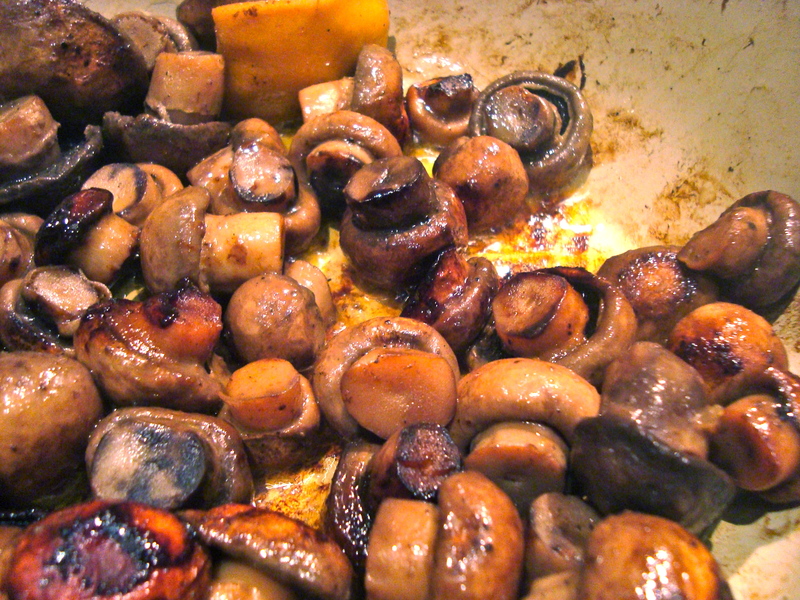 If not, uncover and, if desired, turn up flame to get rid of the last bit of liquid and brown the mushrooms. Serve warm or at room temperature with a sprinkling of chopped parsley, if desired. You can make this a few days ahead and keep it in the fridge. OMG..you had me at mushrooms…that looks amazing! I think I need to make steak in the next food days….just for this recipe! I hope you try it out. I’d love to know what you think! They look sooo good! 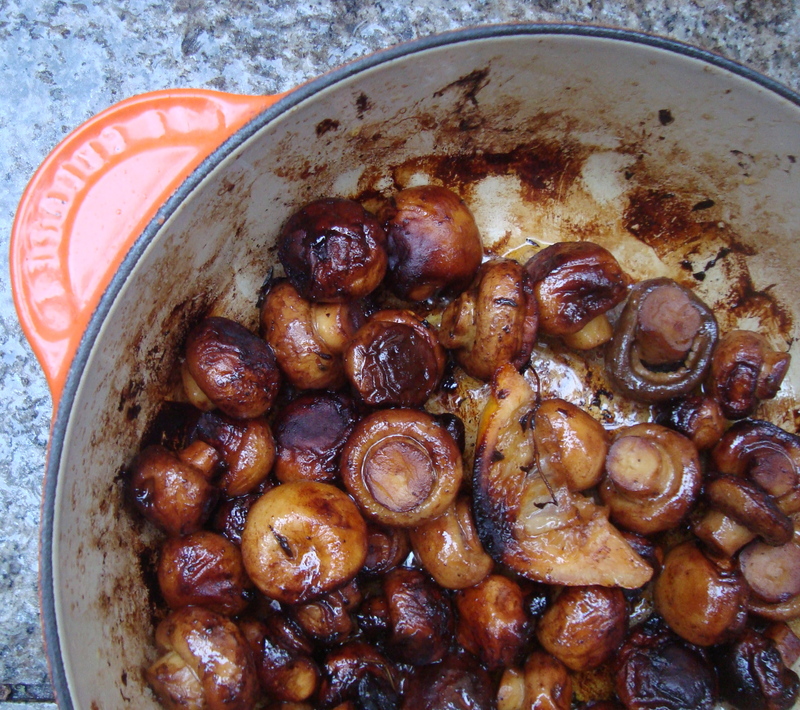 I am a mushroom lover, so this dish is a must try. Please add my friend’s email to your blog. I made these, following the recipe exactly. Excellent recipe! Absolutely the best mushrooms I’ve ever had. Thank you. Ooooh this makes me so happy. It looks absolutely gorgeous! We all just mushrooms. Can I use a slow cooker. If yes for how long should I cook them. Well I prepared and I couldn’t be any happier with the result awesome! Thanks for the amazing recipe. Came out fabulous! This is the only way that I shall cook mushrooms from now on. Thanks to you for sharing and your Dad for creating. Yum!